Right now you might be walking on eggshells so as not to upset the woman or man in your life. Stop! It won’t work. No matter how much of a dancer or gymnast you are, there’s simply too many eggshells from eons of abuse the genders have all suffered upon each other. Go ahead. Take these amazing ET boots which were first gifted to me and work, now cloned for you in this blog. Try them on. One size fits all. Got ’em on? Comfy and soothing aren’t they? Like nothing you’ve ever worn. You relax deeper than you ever have in your life before. Your feet and your heart thank you. OK, now think back on your childhood, painful as that is for most of us. No worries. The boots will keep you safe in the memories and visualization. You gradually transform into your innocent inner child. Your memories of your past form a grey valley, without color or judgement. At the base of that valley are billions of glistening eggshells. Sleeping in a dank and damp cave above, is your parent who traumatized you in some way. You realize in fear that your parent is a sleeping giant! A menacing spiked club sits at the side of their bed of dirty straw. 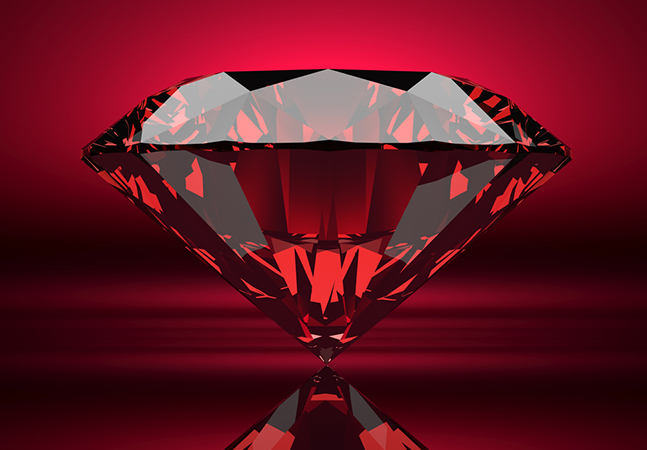 A red ruby’s gleam beckons across the valley of eggshells. Your little inner child wants that ruby badly. Your inner child knows somehow that if you could just have the magic ruby then your mother or father will never use that nasty painful club on you again. So off little you ventures to cross the valley of eggshells, trying not to step on an eggshell that would awaken the sleeping giant parent. You’re a brilliant perfect child, tip toeing gracefully between the eggshells… at first. But now the gaps between eggshells becomes trickier and trickier for your dance of the eggshells until…. Enough of that! Suddenly, you remember that for this time crossing the valley of eggshells you have new tools; your new new Eggshell Transforming Boots of the ETs! Yes, these new heavenly boots phase in and out of reality carrying you safely to the magic ruby. Now you simply stride across the field of eggshells of old parental rage with true ease and playful grace. Not a single shell cracks beneath you ET boots. You confidently and silently reach the coveted red ruby perched on a golden Greek pedestal and take it to your lips for a kiss of victory. The big ruby clutched in your little hand, your amazing new boots race you up the narrow path to the cave of your sleeping giant parent. Their snore is deafening. But you place the ruby on the giant’s pillow. Now, the giant parent shrinks down to your peacefully sleeping parent, in the happiest most loving moment you remember them. They keep shrinking to about the size of a puppy. Little you kisses your little loving parent on the forehead. The angry giant is gone forever and you take the magic ruby into your hand. 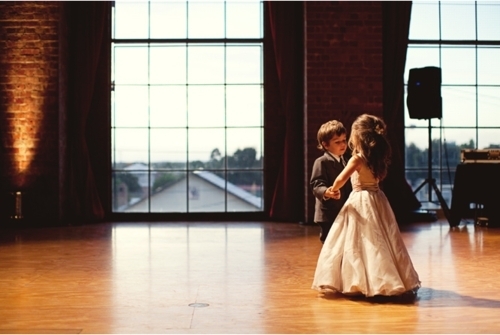 Somehow you know in your young mind there is more magic that needs doing. The ET boots levitate you from the cave of the parent deep into the valley of eggshells. You click your heels, like Dorothy in OZ, and a powerful digital reprogramming code embedded on the glowing soles of the ET boots ignites! Soon the egg shells all begin to rise into the grey valley. You giggle a child’s laugh of amazement as the valley turns a lush green full of flowers of wild shapes and colors. All is new. Your little inner child works your new ET boots’ techno-magic with glee. Billions of eggshells spin into a tornado of white and gold flakes. Faster and faster the broken eggshells spin until they fuse into two new healthy glowing alabaster eggs. Each perfect egg is about 6 feet tall. 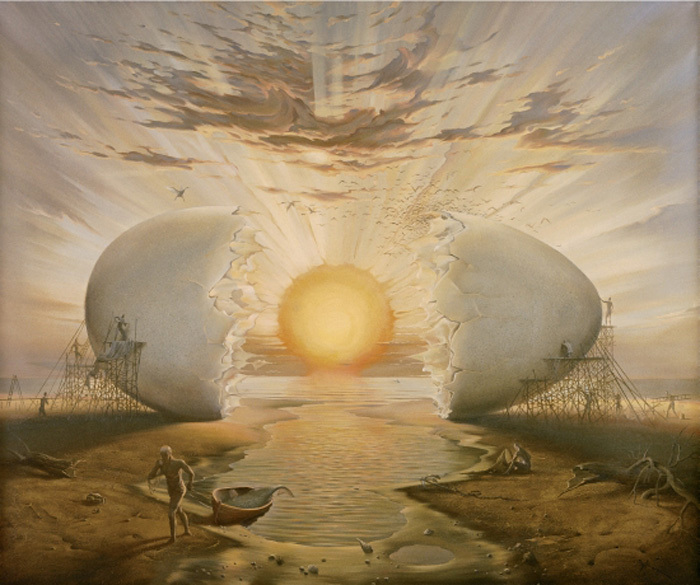 A blue beam of light, from a UFO in a sky filled with dazzling stars overhead, shines into the two new eggs. Within the eggs you see womankind developing into a goddess and mankind developing into a god. Little you is transforming the eggshells of rage with your ET boots to bring forth a new divine masculine and divine feminine. Divines free at last of the past harms we as a species have done to each other over the ages. Little you dances for joy between the eggs and now you gently tap both eggs with a knuckle from each hand. With a “knock, knock, knock” a bright green time wave races out of the eggs and blasts through the red ruby. Pulsing green and red waves heals you of all past harms done to you by the women and men in your life and your past and future lives in all dimensions and realities. The pulsing green and red healing waves race across the face of the earth, through all timelines; past, present and future. All dimensions. A new sun encircled in a rainbow of colors rises over the valley. Little you realizes this is the long-awaited dawn of a fresh start. A new age free of eggshell walking is born. But little you is wise enough now to know that all this wonder, though is amazing, is simply a fresh start. You giggle confidently, knowing fearlessly that we all will break new eggs again in this new age. Nothing and no one is perfect. Humpty Dumpty will fall again. Now, however, whenever your amazing inner child feels the ancient anxiety of trying to please the un-pleasable mother or father giant parent, by starting to walk on eggshells to be a “pleaser” to the present woman or man in your life today, simply put on your ET boots again and stomp away! We now you return to your present-day self. No more walking on eggshells you, dear reader of planet earth. The time for real transformation is now. There’s no time left for the old eggshells of childhood fears that have been running us all as a negative program. Indeed, it’s no accident old society gives us no training in coping with our ancient wounds. That’s to keep you a prisoner to the old ways, what many call The Matrix. Time to move forward! Time to live our lives without fear or perfectionism or being a pleaser. The magic ruby we bravely retrieved from the valley of eggshells is called self-love. Share this meditation with someone you love. We little boys and girls of the New Age have a planet to save with our dance of the eggshells. DreamShield‘s Ken Sheetz is in Sedona filming Dr. Patrick Flanagan, founder of PhiSciences, to whom this meditation is dedicated,for a new documentary after the success of the web series THE FLANAGAN EXPERIMENTS, with over 25 million views on YouTube for BuzzBroz.